In a two-page document released Thursday, Sen. Orrin Hatch (R-Utah) noted that, when the agency closed its previous investigation into the search giant in 2010, the FTC partly based its decision on the expectation that Apple would become a “strong mobile advertising network.” This did not pan out. As Ars noted a year ago, Google is under renewed pressure from both the conservative and liberal ends of the political spectrum. Not only did the FTC examine Google in 2010, it also did so in 2012. That’s when the commission’s competition unit urged a lawsuit that was ultimately overruled by the FTC’s commissioners, who voted unanimously not to pursue charges against Google. Google did not immediately respond to Ars’ request for comment. Three federal judges on the Ninth Circuit Court of Appeals are set to hear oral arguments at 6 p.m. ET Tuesday in the challenge to President Donald Trump’s travel ban. The lawsuit, brought by attorneys general of Washington and Minnesota, has captivated the nation since last Friday when a federal district court judge put a stop to Trump’s executive order restricting travel for foreign nationals, and as a result, temporarily opened US borders to immigrants once again. US District Court Judge James Robart upended Trump’s executive order nationwide Friday by temporarily halting the key provisions restricting travel for foreign nationals from seven Muslim-majority countries (Syria, Iran, Iraq, Yemen, Sudan, Somalia and Yemen) and refugee admissions. The central question for the appellate court is whether Robart abused his discretion by putting a temporary hold on the travel ban. No court has addressed the constitutionality of the executive order thus far. The attorney general of Washington state, Bob Ferguson, filed the case and was later joined by the attorney general of Minnesota, Lori Swanson. The suit is being defended by lawyers at the Civil Division of the Department of Justice in Washington, DC. The randomly assigned three-judge panel includes Judge William C. Canby Jr, an appointee of President Jimmy Carter; Judge Michelle T. Friedland; who was appointed by President Barack Obama; and Judge Richard R. Clifton, an appointee of President George W. Bush. The appellate court has set an hour-long telephonic oral argument in the case for Tuesday at 6 p.m. ET. It will be available for live streaming through the court’s website. Each side will get 30 minutes to make their case. What are the states saying? On Monday attorneys for the states that filed the lawsuit submitted their brief urging the appellate court to keep the travel ban suspension in place. The states say that the temporary restraining order should remain in place because the President had “unleashed chaos” by signing the order. They also argue that the government’s claim — that it would be “irreparably harmed” by keeping Robart’s temporary suspension order in place while the case proceeds to the merits — doesn’t make any sense. What is the Trump administration’s argument? The government submitted its own brief in response Monday evening. DOJ continues to emphasize that the states do not have the ability to sue in this case and a district court judge does not have the right to second-guess the President’s national security judgment in the immigration context. But the government also raised a fallback argument in its latest court filing — suggesting if the appellate court is inclined to uphold the Seattle district court’s decision, then it must at least limit it to the class of people who have been previously admitted to the US — like someone traveling on a student visa. In the government’s view, aliens outside of the US who have never stepped foot on US soil have no constitutional right to enter the US. 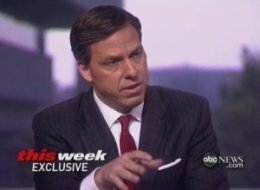 CNN is reportedly trying to court ABC News’ senior White House correspondent Jake Tapper. Fishbowl DC’s Betsy Rothstein, who was first to report the news, learned that CNN chiefs were looking for a “game changer” and were interested in Tapper. Schneider echoed Tapper’s sentiment. “Hardly surprised to read about all kinds of poachers being interested in Jake Tapper. That’s what happens when you are at the top of your profession. We’re thrilled Jake works for ABC News and expect him to have a leadership role for a long time to come,” he said. 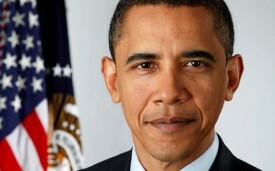 If the Cyber Intelligence Sharing and Protection Act, better known as CISPA, reached President Obama’s desk in its current form, he would veto the bill, according to a statement from the White House. CISPA, says the White House, would allow the government and the intelligence community unfettered access to Americans’ personal information and data, sacrificing individuals’ personal privacy and civil liberties. CISPA is designed to allow private firms to share information about cybersecurity threats with one another and with the federal government. The bill’s advocates call such information sharing a necessary step in defending the U.S.’s networks from a “digital Pearl Harbor,” while opponents argue that sharing puts the civil liberties and personal privacy of Internet users in jeopardy. “[CISPA] would allow broad sharing of information with governmental entities without establishing requirements for both industry and the government to minimize and protect personally identifiable information,” reads the statement. The White House also believes that CISPA would allow private companies to share users’ information with one another — unhindered by adequate supervision or transparency — while simultaneously shielding them from lawsuits that spring up as a result of that information sharing.